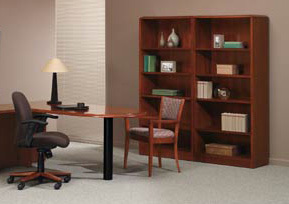 Allowing you to save money while keeping the quality you deserve, office furnishings from ROF Furniture are available in new, used, and remanufactured conditions. Using only the finest materials to refurbish our used office furnishings, ROF also deals only with reputable manufacturers to ensure the quality of craftsmanship in each piece. See the difference for yourself from among our large inventory of office furnishings including desks, cubicles, modern office chairs, office partition panels, and more. Contact us now for more information about our HON, Haworth, Steelcase, and Allsteel office furniture for sale.